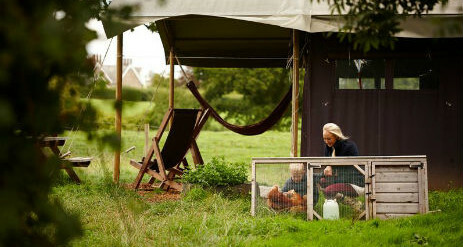 Nestled in the beautiful Devonshire countryside on the Prince of Wales’ Duchy of Cornwall estate, is Billingsmoor Farm. 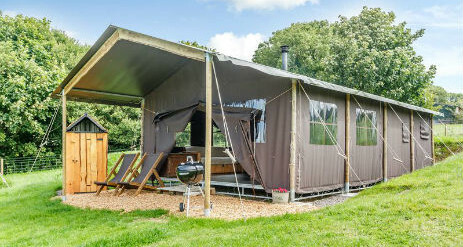 Its the perfect location for a glamping Devon family holiday, with it’s rolling fields and panoramic views. What’s more, the farm is less than 20 miles from the soft sands of Exmouth’s famous family beach and only 20 miles from Dartmoor National Park. Being Devon, the farm is surrounded by National Trust Properties, two of which are within 10 miles. Each tent enjoys panoramic views. 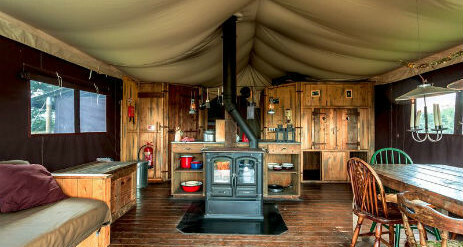 There is a 10-person tent that is ideal for that long awaited glamping get-together. 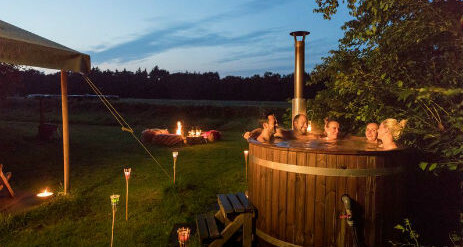 There are also tents with private Hot Tubs and standard tents. With a modern heated shower block and a well-stocked pantry, you can be sure of a comfortable stay at Billingsmoor Farm. This traditional 400-acre family farm is farmed under the Organic Stewardship Scheme which ensures it is managed with the environment in mind. 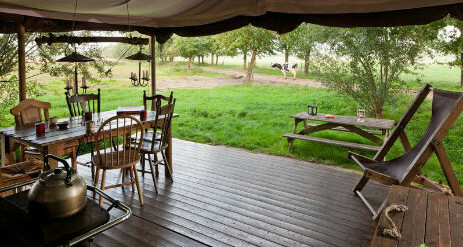 A holiday at Billingsmoor Farm gives you a wealth of wildlife, and it even has its own forest school. Pets are welcome but must be kept on a lead at all times. The 200 Friesian cows are milked twice a day and there are often young calves to meet. Delightful for adults and children alike are the Kunekune pigs and sheep in the animal paddock. Ideal for a range of events, from weddings and celebrations to corporate functions is ‘Old Shippen’ barn which is full of character. The surroundings of this beautiful organic dairy farm are pure Devon. A lovely woodland is the backdrop for natural and safe play where your children can spend hours in the woods creating dens and simply enjoying the freedom off the great outdoors. In the evening what could be better than sitting out, toasting marshmallows on your campfire looking at the night sky? With no light pollution, the stars will shine brightly for you. Nearby Tiverton offers a romantic castle and, on the tranquil Grand Western Canal, one of the last remaining horse-drawn barge trips in the country. Less than 15 miles north of the farm you will find yourself in Exmoor National Park, which stretches up to Devon’s dramatic north coast, great for surfing and rock pooling. Exeter is only a short drive away and offers a wealth of activities including a wonderful Cathedral or why not explore the Medieval underground passages of Exeter?